The hop begins on Jen’s Blog, and if you’ve been hopping along, then you should have arrived from Julie's Blog. 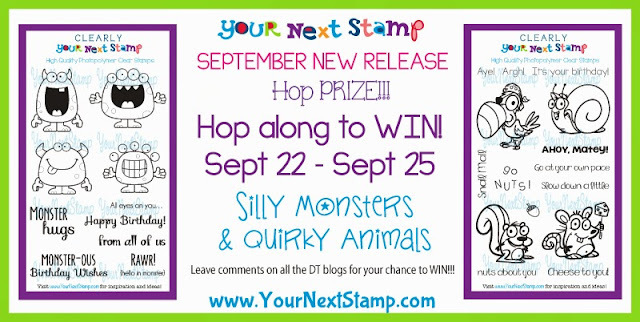 You have until Tuesday, September 25th at 12am (EST) to leave comments on all of the DT blogs for your chance to win! 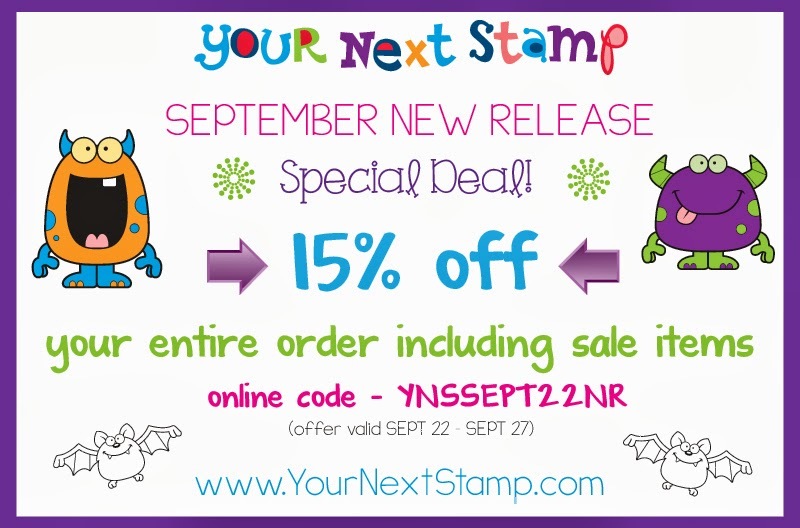 Karen will announce the winners on the YNS Blog Wednesday, September 26th. For my first card today, I used this darling witch named Samantha! I colored her with Copic markers and used some fun Doodlebug Halloween Parade dp. The stars were cut with the YNS Whimsy Star Layered Die Set and the sentiment was stamped onto a die from the YNS Whatnot Seasons Set One Die Set. The sentiment is from the new Kup Toppers Set and I also used the coordinating Kup Topper Dies. The border was cut with a die from the Must Have Borders Die Set One and the dp is Echo Park Paper Co. Bundle of Joy Boy. You can't have a baby shower without favors, so I've made some fun favors using the new Kup Toppers Set once again along with the Kup Topper Dies and this awesome new Mini Kup Carrier Die! 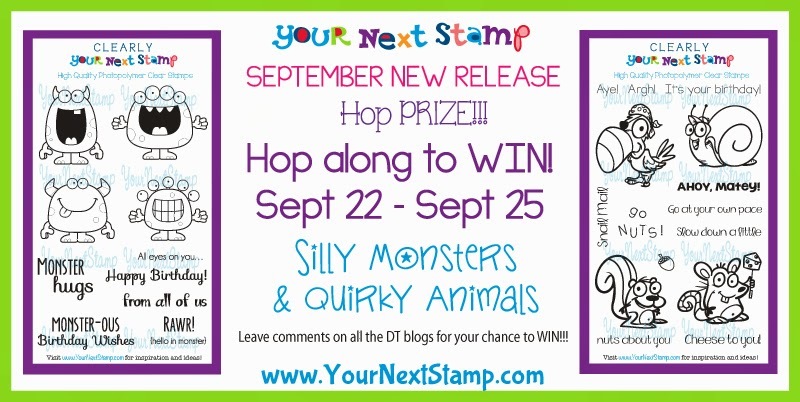 Now it’s time to hop on over to Laura's blog, but don’t forget to leave a comment before you go! Happy hopping and shopping! Your coloring is just perfect as always and your mommy to be set is cute as can be!! LOVE!! Love them. Mommy card my fave. Amazing cards. I love the colouring, the layouts everything. I am really loving the images this release. Adorable cards! Your friend will love the mommy to be. Wow, awesome cards, beautifully coloured and love the k cup favor box! Gorgeous cards and your colouring skills are awesome! Great cards...your colouring is amazing! The gift looks wonderful the these new dies. Just love the pretty witch. Great cards. Great cards and gift. Love the images and colors. Great works. Your little witch is beautifully colored. 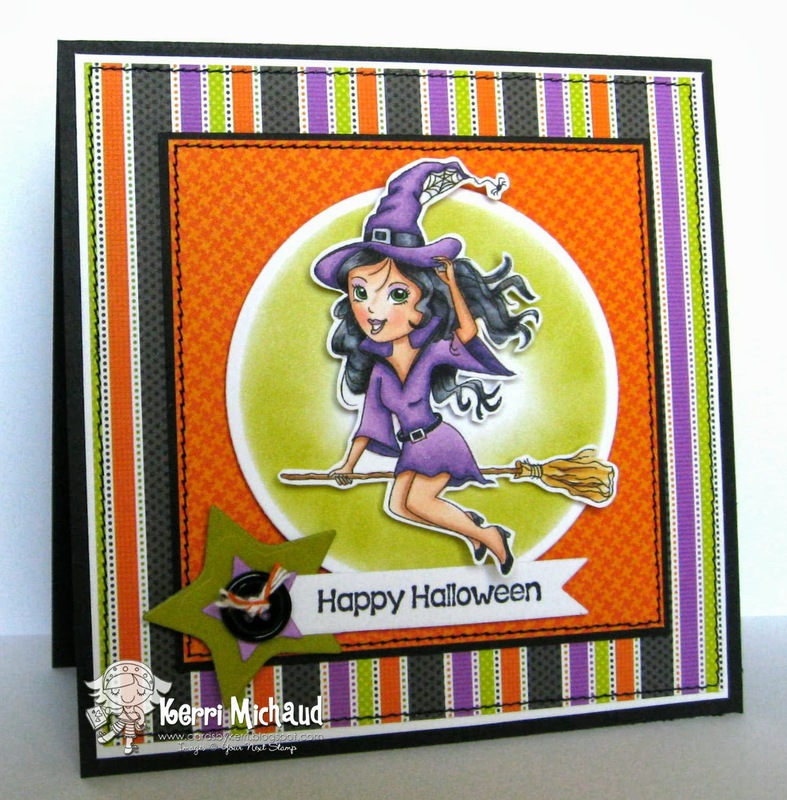 Love the Kup Topper dies. Such a clever tool and I loved your idea to use them as announcements ... clever! Adorable cards and tin covers. Love the witch, beautifully colored. Amazing work as usual Kerri! LOVE your colouring. All of your projects are wonderful. Your colouring is amazing. 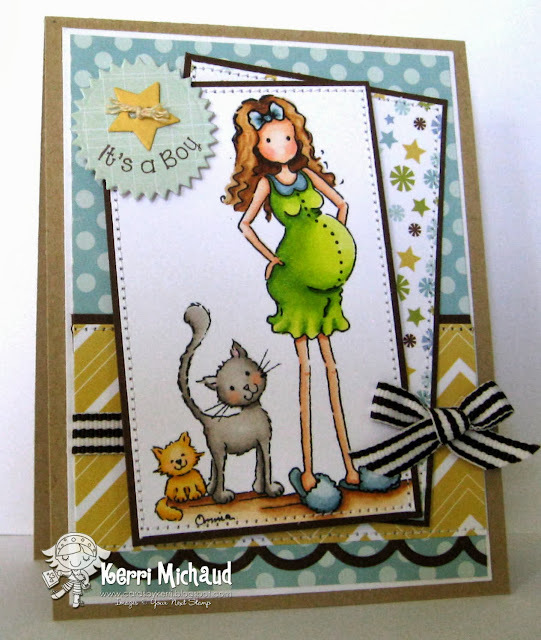 Really sweet cards, luv the mommy to be card and paper project. The color combo is wonderful. That Halloween card is great also. Fabulous coloring on your cards and cute shower favor. The coloring is awesome, two beautiful cards. Adorable! I know I always write that your coloring is amazing, but I can't help it because it is true! Fabulousness all around. The papers and colors with the Mom-to-be Set look great.